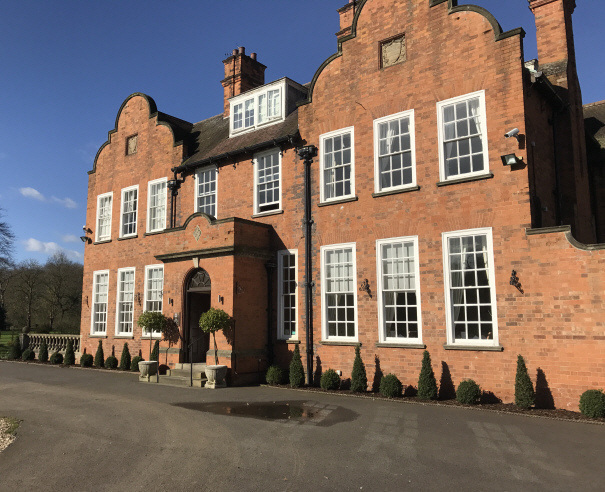 We were contacted by Jon-Paul of Heritage Estates, the new owners of Kelham House and Cockliffe House Hotels, and asked to undertake the re-decoration works as part of their refurbishment project over the next few years. Cockliffe House, near Papplewick, was built around 1678, and offers luxury hotel, dining and a prestige wedding venue. Works were carried out to various rooms, function suites, bedrooms, bathrooms and external works. After some careful preparation of surfaces, various areas were re-decorated in Farrow & Ball colour schemes to reflect the tranquil environment and to enhance the neutal and blue Edardian colour palette, with feature wallpapers being appied in some areas. The external doors and frames and windows were primed, and painted undercoat and gloss topcoat in Dulux Weathershield System - natural white. We value the opportunity to work on these beautiful, historical venues and hope to continue to do so in the future as part of the owners' ongoing development plans. experienced in providing a friendly, quality service to our customers in both the commercial and private sectors. We offer a free, bespoke advice and quotation service on all aspects of painting, decorating and design - no job is too big or too small. Please feel free to call or email us with your enquiry and we will arrange for a free, no-obligation quotation at your convenience.